The sticker price on one of these cars is $33,300. For the money, you are purchasing a seven passenger vehicle that is powered by a 2.0 Liter Turbocharged engine and propelled by six speed automatic transmission. This mid sized crossover van has an EPA fuel economy rating of 21 MPG in the city and 28 MPG on the highway. While the rear seats are cramped for adults, they are ideal for your younger family members. They take up some of the cargo space, so you will need to plan your trips carefully. The new design features an upgraded infotainment system and new standard safety features. The Highlander Plus is a slightly more expensive model with an MSRP of $34,395, but there is more substance offered as well. The Highlander is equipped with a 3.5 Liter V6 engine that produce 270 horsepower and enough torque to tow a medium sized trailer. This crossover SUV is also fitted with a tow package as part of its standard equipment. The third row seat has room for three more passengers bringing the total number of bodies you can haul up to eight. It has fuel economy rating of 19 MPG in the city and 25 MPG on the highway. The Highlander’s infotainment system is a tested design that is simple to use. Like the Kia Sorento, the Highlander has top crash test ratings and modern safety equipment that helps you to avoid accidents. The Sorento is backed with one of the best warranties in the industry. Its five year or 60K mile basic coverage warranty takes most of the pressure off of new owners, but warranties expire. In the long run, the Highlander is actually cheaper to maintain. The Highlander does not have the complicated turbo charger system that is prone to expensive mechanical problems. The Highlander is also built with Toyota’s reputation for quality. The highlander has a proven market demand. It holds its resale value better and gives you back more of the money you invested in your original purchase. When it comes time to sell, it is easier to find a buyer for your old Highlander. This liquidity gives you better options five to ten years down the road when you are ready to upgrade. Smart shoppers buy cars to last for a decade or more, and the choice is clear. 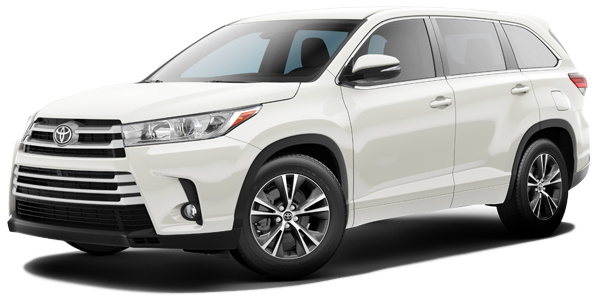 With more power and room for passengers, the Toyota Highlander has more offer. The lower maintenance costs and higher resale value save you enough money to make the Highlander a better buy overall.